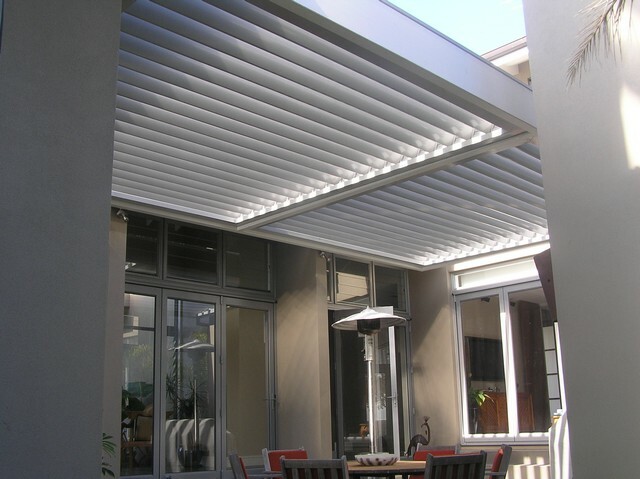 Vergola Louvres are the perfect addition to your outdoor entertaining area whether on a home, cafe, restaurant or hotel. 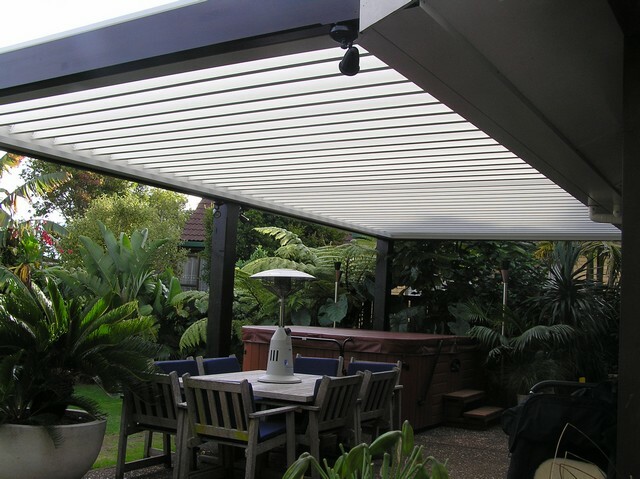 Vergola Louvres are a unique, fully adjustable waterproof louvre system. 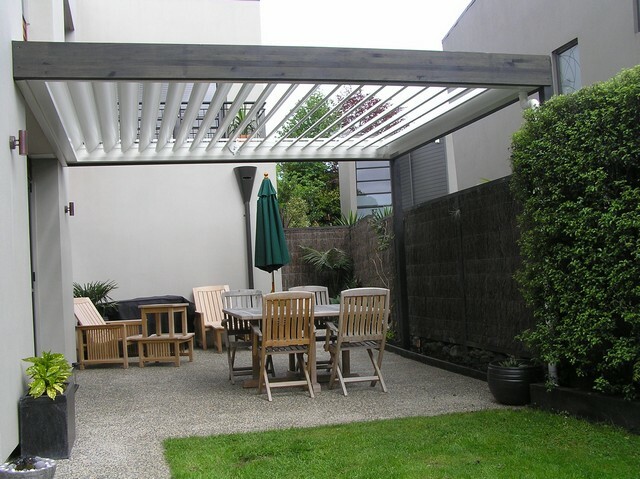 The allow you to maximise the use of outdoor areas enabling you to choose and control the amount of sunlight and shade the suits your purposes. The louvres are interlocking which, when closed, make these fully rain proof (in general weather conditions). These also help to reduce the heat in your home by controlling the amount of direct sunlight on walls and windows. 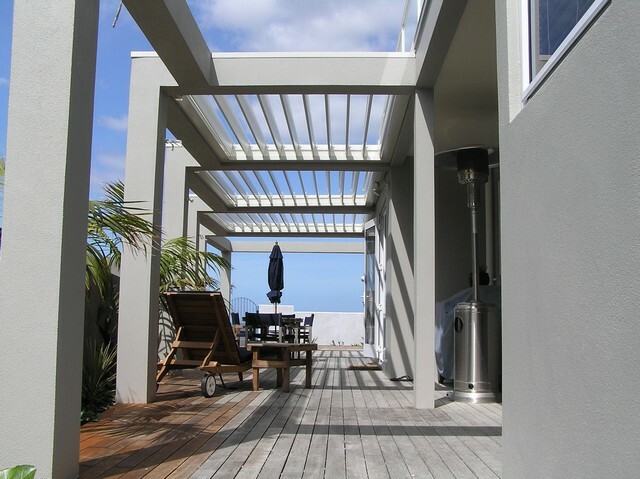 Frames can be made from timber, steel, aluminum or any other material that meets building codes. 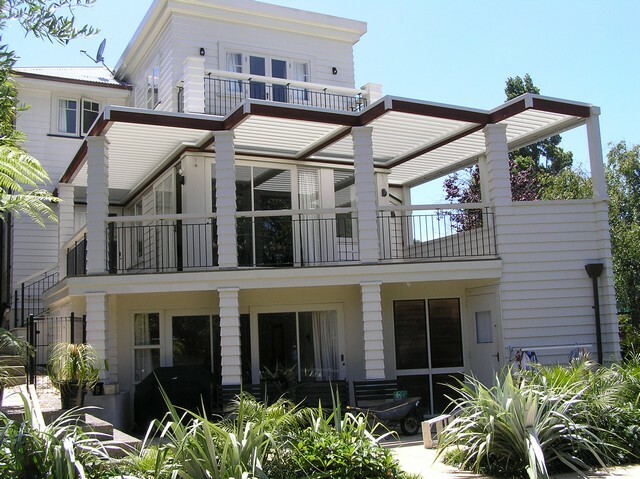 Gutters run inside the framework and water is discharged into downpipes. 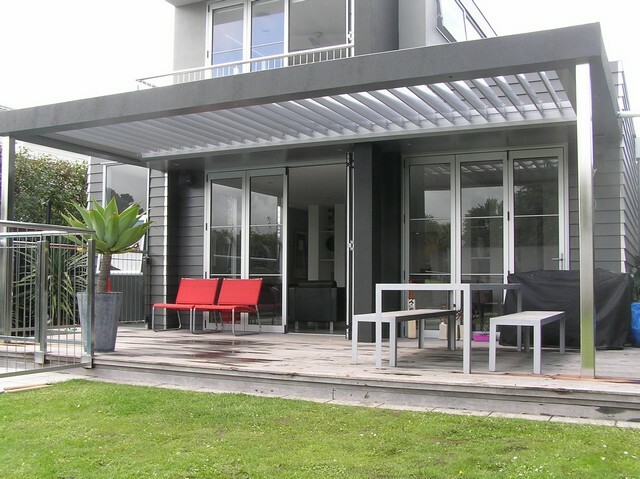 Louvres are made from top quality aluminium, and can be powder coated to match your decor. Contact us for more information and to arrange your free quote. 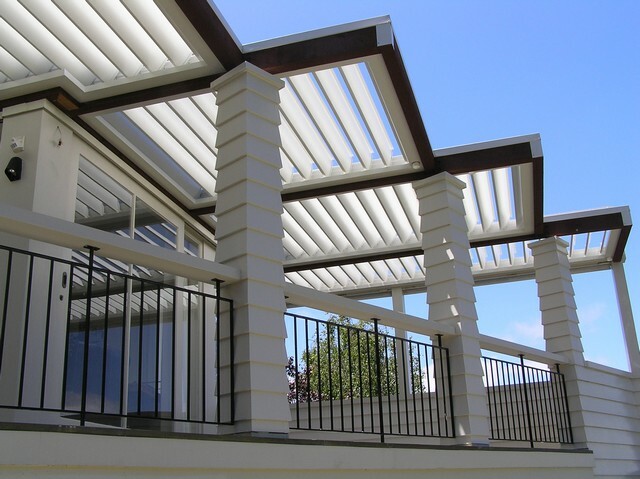 Multi vergola louvres installed over the deck on this home. Multi Louvre roofs over the deck of this home.